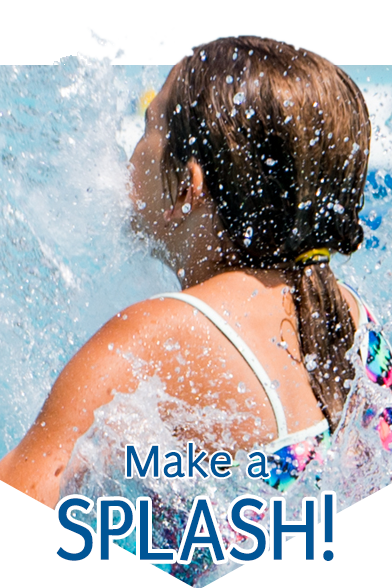 Hilliard Recreation and Parks offers swimming lessons and activities for children at all skill levels. The goal-driven program emphasizes swimming as a lifetime sport in a fun, educational environment. Participants move through various levels as they master skills at their own pace. Swim lessons are held when the combined water and air temperature is at least 70 degrees (pool water is heated). In the event of inclement weather, please call the pool one hour before your scheduled lesson time. Only one make-up class is scheduled per session. Find lessons & activities for your skill level. Drop In & Swim is designed to promote an active aquatic lifestyle for adults. The program provides a relaxed atmosphere to participate in an early morning workout group. Workouts meet the varying ability levels for all swimmers. Preregistration is required. Times: 10 - 10:30 am, 10:35 - 11:05 a.m., 11:10 - 11:40 a.m.
At this level, swimmers will work at 4 stations and learn different skills to expand on their swimming abilities. Goals will include being able to swim freestyle, do the backstroke, and other swimming techniques. Times: 8 - 8:30 p.m., 8:35 - 9:05 p.m.
Times: 10 - 10:30 a.m., 10:35 - 11:05 a.m., 11:10 - 11:40 a.m.
At this level, swimmers will work at 3 stations and learn different skills to expand on their swimming abilities. Goals will include being able to do side glide kicks, crawl strokes, and learn how to swim freestyle. Times: 10 - 11:45 a.m. Immediately after the Saturday morning Sea Pups class at the Hilliard East Aquatic Center, Sea Shrimp offers open swim for children ages 5 years old and under from 10-11:45 a.m.
Times: 9 - 9:55 a..m.
Times: 9 - 9:55 a.m.
At this level, swimmers will work at 3 stations and learn different skills to give them a solid foundation for swimming. Goals include being able to do 10 relaxed bobs, being able to front glide and back kick. Times: 9:30 - 11:30 a.m.
Swimmers ages 5-18 years can learn the basics of synchronized swimming during one of two sessions. Participants should be comfortable in deep water for extended periods of time and able to swim freestyle. Preregistration is required.